The Wyoming Legislature recently voted down a bill intended to criminalize the practice of “coyote whackin’,” the disgusting practice of running over coyotes with snowmobiles or running them to exhaustion and then either shooting them or beating them to death against snowmobiles. Participants in this bloodsport brag about their exploits in graphic online videos, raising red flags regarding animal cruelty and hunting ethics. In voting to do nothing to stop it, the Wyoming Legislature has affirmed that this practice, which should according to logic be prosecuted as animal cruelty, will instead remain perfectly legal in the state. This vote says a lot about Wyoming’s dysfunctional relationship with native wildlife, a state that has always pushed the envelope on how far it can go in allowing political manipulations to trump sound science in its wildlife policies, and where the term “wildlife management” has become a cynical joke. One need only to look at Wyoming’s efforts to thwart predator recovery to understand how anti-science its stance has stayed. The state just lost its battle to block the grizzly bear from being re-listed under the Endangered Species Act. 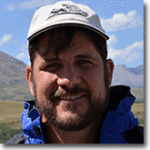 The Wyoming grizzly management plan centers around a Demographic Monitoring Area, in which grizzly bears will be tolerated, theoretically delineated on the basis of habitats suitable for grizzly bears. But toxic politics rather than sound science dictated the drawing of these boundaries. Grazing allotments for domestic sheep became magically “unsuitable” for grizzly bears, and were gerrymandered out of the DMA. Entire mountain ranges where grizzly bears already live successfully, like the Wyoming Range, were excluded at the behest of the livestock industry. Even though conservationists have already bought out many of these sheep allotments, in significant part to eliminate livestock-grizzly conflicts, these biologically suitable grizzly habitats remain exclusion zones for the great bear. To add insult to injury, the Legislature has proposed a bill to finalize grizzly hunts, even while the species is protected under the federal Endangered Species Act. If Wyoming’s relationship with grizzly bears is fraught with political tampering, then its relationship with wolves is one dictated by unadulterated hate. Wyoming’s wolf management plan was initially rejected by the U.S. Fish and Wildlife Service for classifying wolves as “predatory animals” across 85 percent of the state. The categorization means that anyone can kill as many wolves as they want, in any season, with no limits on the number of wolves killed. In Wyoming, in addition to wolves the “predatory animal” category includes jackrabbits, red foxes, porcupines, raccoons, coyotes, stray domestic cats, and skunks. This is the opposite of wildlife management. There is no pretense to limiting the number of wolves or other “predatory animals” that can be killed, or indeed any limits that would prevent these native animals from being driven to extinction across large parts of the state. Perhaps extinction is the unstated intention. Even in the small portion of Wyoming where wolves are considered a “trophy game” animal with hunting seasons and tag limits, the state’s mismanagement of wolf hunting has led to disturbing incidents that call into question whether Wyoming should have the authority to manage wolf populations at all, much less near tourist hotspots. In 2012, a wolf known as 06, the alpha female of the Lamar Canyon Pack and arguably the world’s most famous wolf at the time, wandered out of Yellowstone National Park and was shot to death in Wyoming by a trophy hunter. Six years later, history repeated itself in Montana when a female wolf known as Spitfire, the daughter of the 06 female, was shot outside Yellowstone. Then, during the most recent government shutdown, a female wolf was shot 2.5 miles inside Grand Teton National Park by hunters claiming to be confused about where that Park boundary was. Incidents like these have prompted tribal members and conservationists to call for a Sacred Resource Protection Zone or other buffers around Yellowstone and Grand Teton National Parks to prevent the hunting of wolves that inhabit the parks. For Wyoming’s coyotes, the story is even more grim. 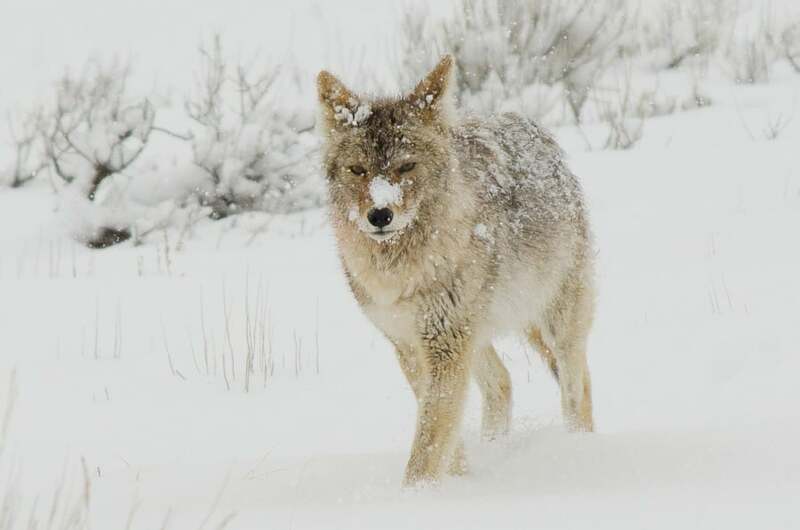 At the behest of the livestock industry, the shadowy USDA agency Wildlife Services killed a total of 5,463 coyotes in Wyoming alone in 2017, according to agency data. Killing methods included aerial gunning, traps, snares, shooting, and even the notorious M-44 ‘cyanide bomb.’ (Full disclosure: Western Watersheds, for whom I work, has just launched a lawsuit challenging Wildlife Services’ Wyoming wildlife-killing program.) And this body count doesn’t include the innumerable coyotes killed by hunters, trappers, and ranchers … or snowmobilers. The roots of the hostility towards native wildlife lies with the undue influence of the livestock industry in Wyoming, and its desire to domesticate the land and eliminate any species that might interfere with their profit motives, on private lands and public lands alike. Many Wyoming ranchers are waging a war on native wildlife, poisoning prairie dogs, killing native carnivores, seeking to displace elk that “depredate” their hay supplies and compete with their cattle for grass. Thanks to the disproportionate influence of ranchers in the Wyoming Legislature, the ag industry’s hatred of coyotes enables the barbaric practice of “coyote whackin’” with snowmobiles to continue unabated. This is one of the reasons I have removed Wyoming from my want to visit list and tell all my international friends to avoid the state. Won’t be spending any tourist dollars there. skills and resources to the right uses? ” I am not certainly a scripture quoter but really! With all the needs of this State, and Country is in and as bad as the politics are get a Life. Don Cuin Rawlins, Wyoming. Campaign finance, voter gerrymandering, kids in foster care, tax laws favoring the top 1% of the country. .
America you just keep disappointing shame on Wyoming Legislature backward uneducated decision which brings shame on your state . To allow a practice like this shows the lack of understanding and intelligence about the need for these animals to support the biodiversity (look it up) in YOUR state and the meatheads who run and live in it. .
As a hunter and a Wildlife biologist this tactic of running over animals with a snowmobile is disgraceful and brings humans to a very low level of dignity. Its one thing to go out predator hunting and killing instantly than this bloodbath which should get jail time. Also yes the Grizzly should of been delisted along with the wolf. But also the Grizzly habitat and protected area should continue and SOUND SCIENTIFIC MANAGEMENT not political skewed hate and one sided decisions favoring ranchers and other groups. We need a balanced program. This type of behavior would something I would expect from cruel children.. The fact that is going unaddressed does not help feel proud of this state. This is especially disheartening given what is taking place in our country as a whole. Wyoming, this is disgraceful! This is cruel and it is torture. I attended college in Wyoming for a year and i saw the uglieness. Such hypocrites!! You have Yellowstone and yet you treat your animals like crap..Shameful.. I find it very ironic that on one hand, Wyoming promotes wildlife viewing and protection in Yellowstone and Grand Teton National Parks, but on the other hand condones and even endorses practices such as coyote whackin. I guess it’s all about money. Bringing money it into the state via Parks is okay but heaven forbid don’t let the same animals cost residents a penny. It’s pretty hypocritical. Wyoming needs to quit letting livestock farmers and extractive businesses call the shots. The “wild west” is long dead and buried, and we certainly do not need any more so-called cowboys. Man gets uglier and uglier day by day. When will mankind protect the animals from thse crazy lunatics who are bloodthirsty mad? Excellent article. ethical hunters respect and often honor the species they kill and demonstrate their skills by adhering to the “fair chase” ethic. Hunters who use snowmobiles & other unethical means deserve to be called “slob hunters.” They bring dishonor to hunting. I always thought Wyoming was a beautiful place, if the people there are so ignorant and CRUEL I never want to visit there. Ranchers and legislators often discuss issues of animal welfare as though they are willing to compromise, but at the end of the day the make so many exemptions to any statute that it becomes essentially useless. It is a power struggle wherein all of the power clearly and indefinitely lies with livestock producers. Our legislature is also comprised of over-representation for this industry. They know their power. They know they can “play nice” with people on the surface, But that at the end of the day they’ll never make any changes that might force them to have to change or compromise. I have a strong stomach for animal abuse, Unfortunately my line of work demands it. But this practice with the snow-mobiles is mind-numbingly cruel and insensitive to obvious suffering. There is no science behind it, No sport, No integrity whatsoever. It is just blatant, blood-thirsty, sadistic cruelty. Not feeling much pride in our representatives fore condoning it.